"We, our former Home Army soldiers. In 1944, when the Soviet troops occupied our town. Yes, our commander said we could run away, if we wanted to, or stay where we were. Those of us who did not stay, that is those who laid down their arms, were taken to Russia to Kaluga. Yes, they were in Kaluga and were sent to Poland. And we stayed here. And what? We waited and waited, we thought there would be another coup, a war …"
"To Poland? Me to Poland; the documents were ready, visa from Poland. So what? To German land? Why should I go to German land? I fought for Poland, and I were to go to German land? So, I did not want to and I said no: I will not! A prosidatel would come from Selsovet: will you go to Polsha o not? I said: I will not go! It is a foreign land; to Poland I would go: like to Gdansk, Krakow, Warsaw … or even Lublin. But they went to German land, they gave them German postroykas with their walls still not broken. And I who fought against Germans, and I were to go to German land? We demanded that Poland should be here, in the Braslaw District. There were many Poles, those who did not go to Poland … And now they are dead, my goodness…it’s hard for me saying, hard saying." "Well, you cannot stay at home all the time, because the NKVD has already searched it. You stay in the forest, you come home, and you look around and take some products. Because they did not go anywhere to other homes to take products. And it was like that. At home, before I had managed to hide out, they found me and set up an ambush and found me. They found me and arrested me, and took me to Braslaw. In Braslaw they added some more. And then took me to Polotsk and locked up there. In Polotsk, I do not know how many people were there, nine people. And they conducted an investigation. And all. I did not admit that I was a Home Army soldier. I did not admit because they took some of our documents away to Poland; the Soviet government took the Poles away and took some of them to Russia, and our documents were at one flat. We were hiding out, they attacked us, burnt the flat and all our documents were there." "God forbid! They were beating … and everything. They wanted to learn more. But I decided not to say anything even if they were to shoot me to death. And that was it. And things were like that. (…). When I was in Polotsk … they conducted an investigation for a whole month, and then ordered to send me to Mogilev. There was a prison, a huge prison, there were many prisoners there and everything. I was three months in Mogilev and before spring, in March, they took me to Russia: Irkutsk Oblast, Tayshet Rayon. And I served six and a half years there in Russia. Later on they examined the case and gave up." "Along that river on the other side of the river there is Lithuania, and here it is already Belarus. And I often say and think: how come? The war ended and it should be like before and the place should be Polish again in Wilno Province, Brasław District, Widze Commune. But, no! They gave it to Byelorussians. And what about the Poles? They made repatriation to Poland. And many of them stayed there, they regretted their farms. They had farms, machines, threshers. They regretted it and many of them stayed. We ourselves did not go to Poland, either, because we thought that America would beat Russia again. It was like that." media recorded in project 1945 - End of the War. Comming Home, leaving Home. Full recordings are available only for logged users. I who fought against Germans, and I were to go to German land?! 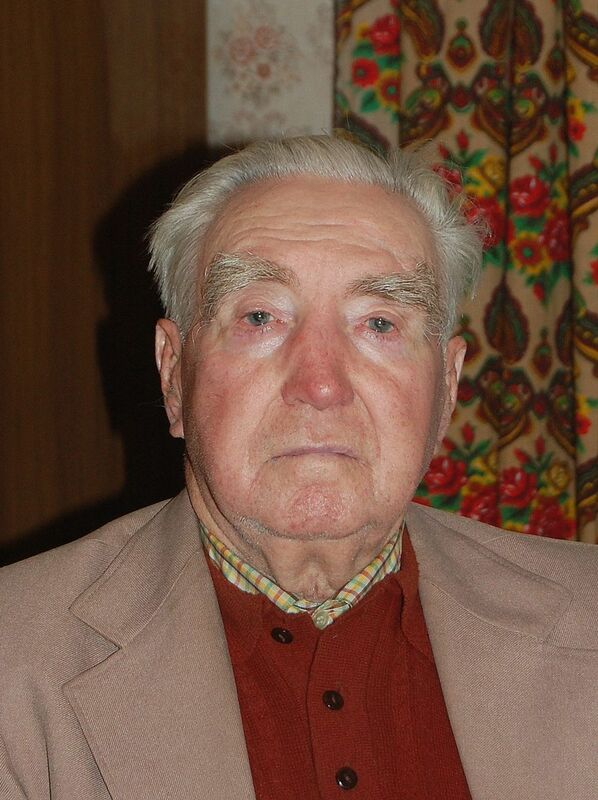 Antoni Aleksandrowicz was born in 1928 in Ostrowiszki, 15 km away from Widze, in the Brasław District, to the family of Stefania and Walerian Aleksandrowicz. He had three brothers and three sisters. Until 1938 they had their own 10-hectare farm where they raised cows and horses, but then they were moved to a “colony”. They used to make their living on farming. During the German occupation between 1942 and 1944 Antoni Aleksandrowicz was a member of one of three Home Army units operating in the district. After the Soviets had entered Poland he was in hiding in the nearby forests for another five years together with other guerrillas who had not been deported to Siberia. He returned home only in 1949. Less than two years later he was arrested and spent a few months in prison in Braslaw, Polotsk and Mogilev; then was sent to exile deep into Russia (Irkutsk Oblast, Tayshet Rayon). He spent six and a half years there. Upon his return from exile he settled in Ostrovishki (working at the kolkhoz). Then, he moved to Dyneburg.